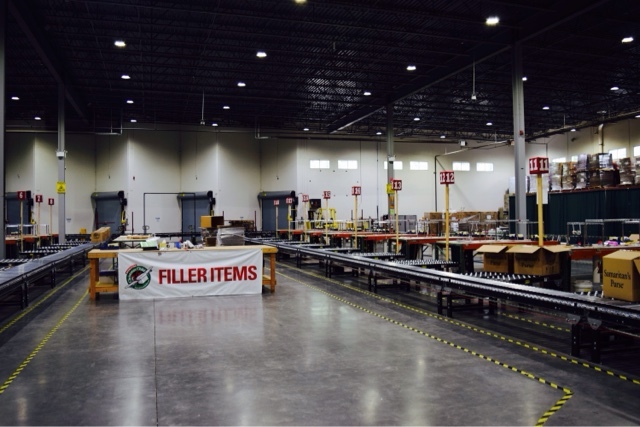 On a recent visit to Boone, North Carolina, a friend recommended we take the facility tour at Samaritan's Purse. 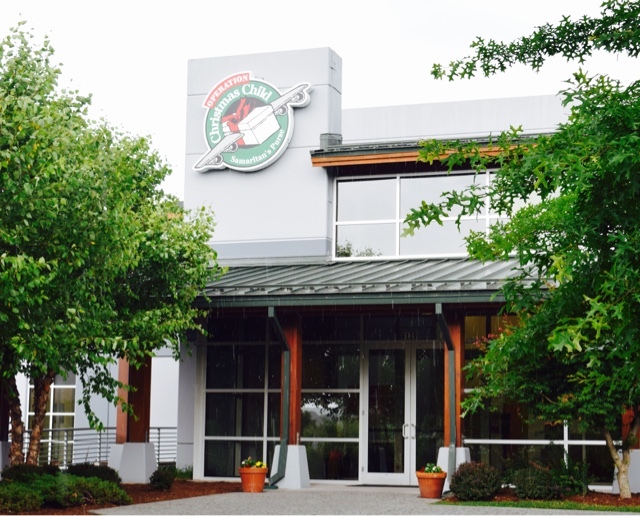 Their Boone campus houses the International Field Office and a year round Operation Christmas Child warehouse. The kids and I went primarily for the purpose of educating them about Operation Christmas Child. As it turned out, I also had a lot to learn. The tour guide gave us a brief history of the organization and touched on all the different areas where Samaritan's Purse has a role. 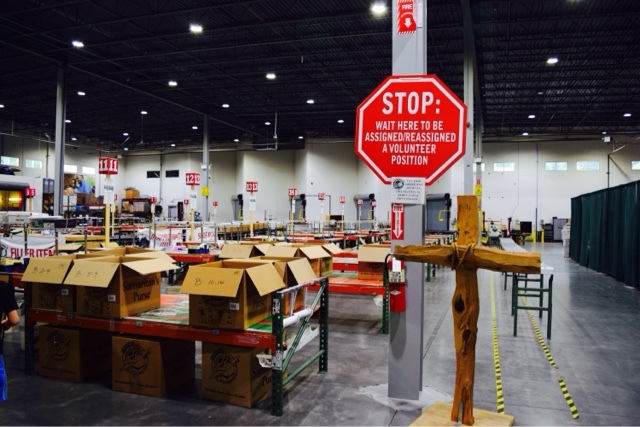 I know of several folks who have worked with Samaritan's Purse both as staff and as volunteers, but I really did not grasp the full scope of their operation. In addition to Operation Christmas Child, we learned about International Crisis Response, US Disaster Relief, World Medical Missions, Children's Heart Project, and Operation Heal our Patriots. If I wasn't already convinced of the good they do in the world, I certainly was after this tour. At the end we were shown the Operation Christmas Child facility where the shoeboxes are checked for inappropriate items and packed into larger boxes for shipment. One great thing is that any void's left by removed items are then filled with other items that have been donated in bulk. And those inappropriate items (i.e. mouthwash, hand sanitizer, etc.) get donated to homeless shelters and other places with a need for such things. How great to know that nothing put in those boxes is wasted and one way or another they will bless someone. 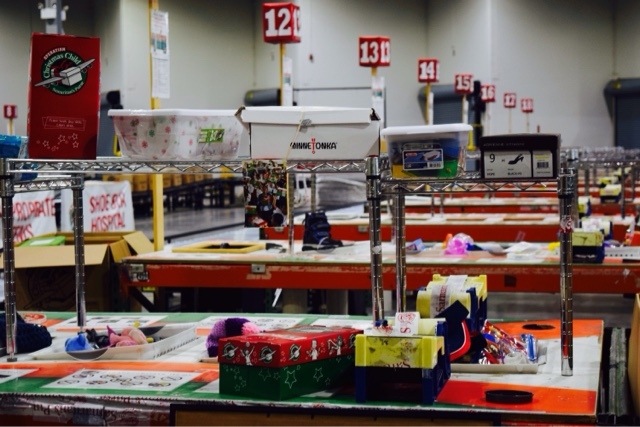 Processing station for shoeboxes at the Boone facility. Another thing I learned is that the boxed items do not have to be shoeboxes or even shoebox size. So if you feel lead to give something to a child that doesn't necessarily fit in a shoe box just get a bigger box [though you may want to help cover the added cost of shipping by adding more than the $7 suggested amount.] And if you are worried about sending winter hats and gloves to hot climates - let God work it out. I confirmed that other than age and gender, volunteers do not sort the boxes for different regions. So when kids happen to get items that they have been hoping for or that one thing they really needed, it truly is a miracle. Our guide shared the story of a little boy in a north African nation who received gloves in his shoebox. The child was so excited to get the gloves, but being in a warm climate it was not apparent to volunteers why gloves brought him such joy. It turned out that his job in the village was to take the bread out of the oven and now he had protection from burns. There are many more such stories that will encourage and inspire anyone involved or wanting to be involved with Operation Christmas Child. Despite the length of the tour (90 minutes or more) my almost 7 and 9 year olds were engaged and soaked up the information. 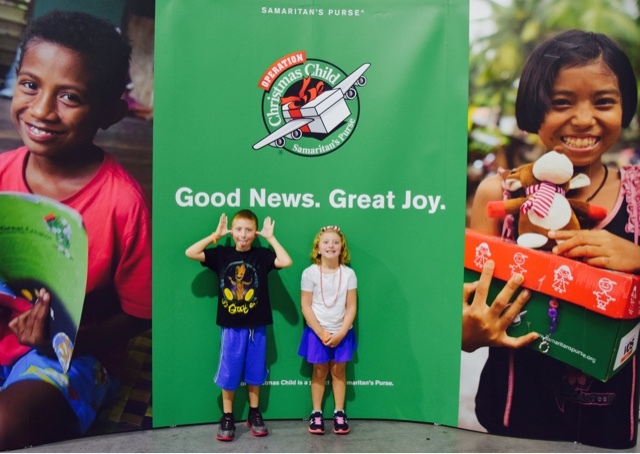 They both have a much clearer understanding of the parameters of what are appropriate items for Operation Christmas Child shoeboxes and they better understand the importance of these gifts. And like me, they better understand all the ways that Samaritan's Purse helps others in need and how they can be a part of it if they choose to. Besides donations for Operation Christmas Child, Samaritan's Purse also accepts donated medical equipment and supplies. It did not even occur to me that they needed or could accept such items. They even have folks who can restore older hospital equipment for use in the field. They always need walkers, crutches, slings, and anything else you can think of related to medical care. And don't assume you have to ship such items. If you contact them, they may have a truck in your area. Visit their website or take the tour on your next visit to Boone to learn about all ways Samaritan's Purse shows the love of Christ in the world, bringing hope and help into the midst of tragedy and loss. Find out how you can get involved whether its Operation Christmas Child, Disaster Relief, or World Medical Missions.